Stanford's "Alcohol Free Zone" Lifted! 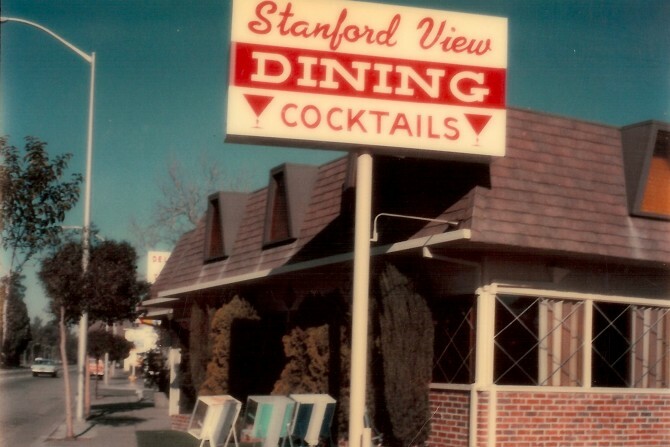 Prior to Sundance, The Stanford View Restaurant successfully fought Stanford's 1 mile "alcohol free zone" in court and won making it the closest bar to Stanford. 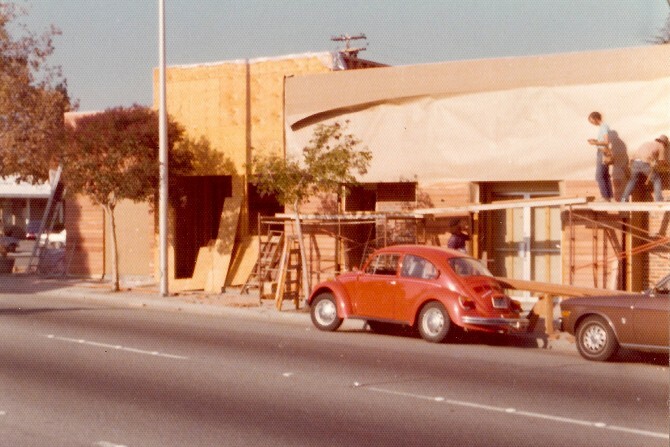 In the 40's the building that Sundance operates out of was a classic dinner house, known as The Carrousel Drive-In, serving Palo Alto's best Steak, Seafood & Chops. Some things never change! In 1974 when Sundance opened, Richard Nixon resigned from office, Notre Dame won the national championship in football, Mickey Mantle was inducted in the Hall of Fame, Happy Days made its TV debut, The Godfather, Part II was released and ABBA topped the music charts with the album Waterloo. We could write a book or two regarding our history; here are just a few headlines. 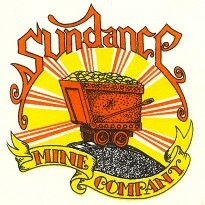 The original Mine Cart logo was designed by local artist, Barry Anderson who to this day still works on projects for Sundance and the Fletcher Family. 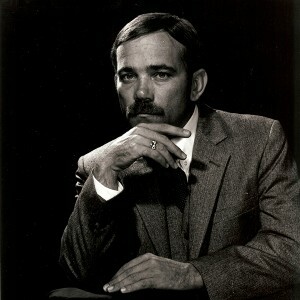 Barry is well known for his early work with the Grateful Dead and the Fillmore Theatre in San Francisco. During the 80’s, Sundance hosted The Beef Bowl, a charity event benefiting the Shriner’s Children Hospital in San Francisco. Attended by dozens of All-American football players, the event occurred the week before the East West Shrine Football Game at Stanford Stadium. The proceeds given to the hospital were based upon how many ounces of Prime Rib were consumed by the players. Hundreds of pounds of prime rib were consumed over the years resulting in thousands of dollars donated to this great event. Founder & the Creative Spirit of Sundance Mine Company, Robert honed his restaurant skills in San Diego where he developed several successful restaurant concepts including Hungry Hunter, Jolly Ox and The Rusty Pelican. 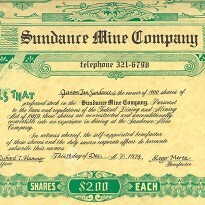 Going along with the banking theme, all Sundance gift certificates were in the form of old stock certificates. Customers were able to buy shares of Sundance in exchange for food and beverage. Serving the best in town since 1974 & still counting. 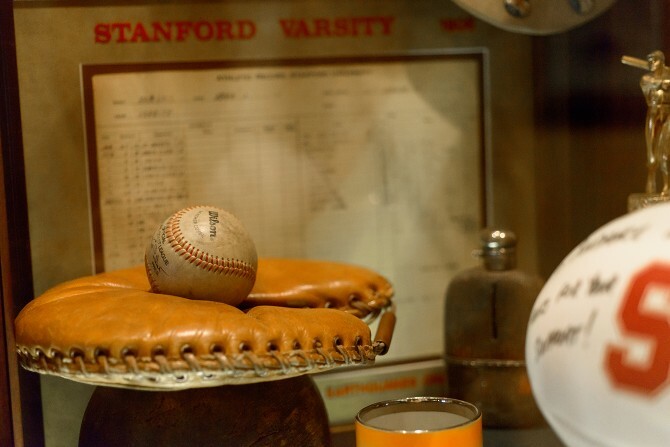 Sundance's collection of Sports Memorabilia is one of the finest in the state featuring collectibles dating back over 100 years. We have had such athletes as Jerry Rice, Tiger Woods, David Shaw, Jim Plunkett and John Elway dine with us regularly. 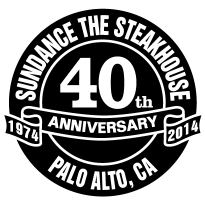 Sundance is also a favorite dining spot for the athletic recruiting departments & coaches of Stanford University. Stanford played host the biggest soccer game in US history. The unlikely quarter final match paired a young US team verses the global power house Brazil on our Nation’s birthday. In a closely fought game, the US lost 1-0. Brazil ended up winning the World Cup that year, but not before making its mark on the local economy. On that day alone, Sundance poured over 3,000 beers. That’s around 25 kegs of beer! Sundance’s longevity has not been accidental. Locally known as Sundance Mine Company, we changed our name to Sundance The Steakhouse in 1999 in response to the public’s demand for prime steak. Sundance's original menus were hand written by the founder, Robert Fletcher and local artist, Barry Anderson. Resembling a turn of the century ledger, the menus utilized banking terminology when describing certain sections of the menu. 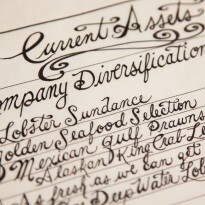 Headings such as "The Balance Sheet," "Qualified Options" and "Current Assets" gave the menu a unique and creative flair while establishing itself as a serious place for aged beef and fresh seafood. Having spent every penny on constructing & designing Sundance, the owners resorted in many cash saving moves such as serving every cocktail in a cognac snifter. While placing the initial glassware order, Robert discovered that the snifter was on sale due to the discontinued design. After a few beers and a conversation, the snifter became the only cocktail glass in Sundance’s Bar. A crazy idea turned to genius after the opening night crowd embraced the snifter as unique and creative! Still today, we occasionally have a guest request their cocktail to be served in a snifter for old time’s sake. December 13, 2014 marked our 40th year in business! 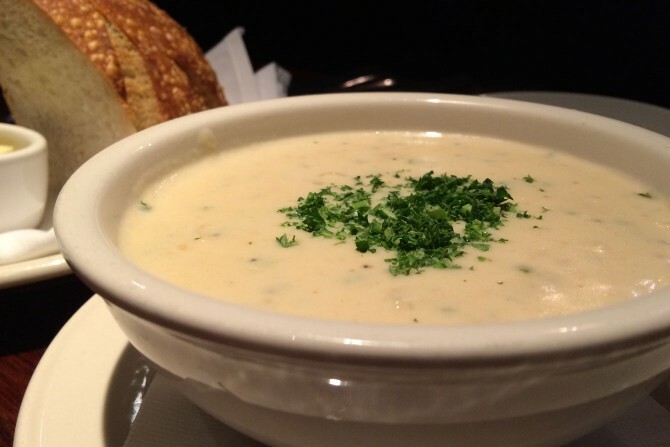 Our Award-Winning Clam Chowder won the Santa Cruz Chowder Cook Off three years in a row. Since 1974, less than 15 employees have ever made a batch using a highly guarded recipe and technique. Our commitment to Guest Satisfaction has spanned over 40 years and 5 million meals. Let’s just say we believe in our product and brand.